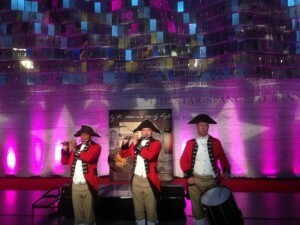 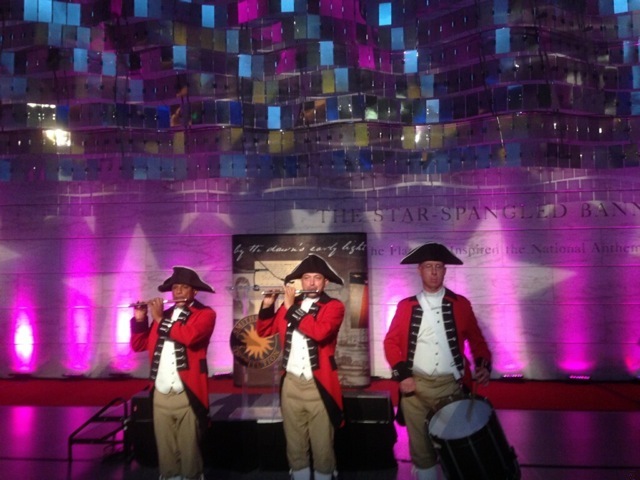 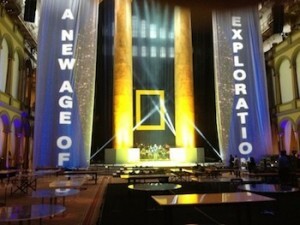 A Fife & Drum 3-pc Band performed for a corporate event at the Smithsonian’s American History Museum in Washington, DC. A perfect patriotic setting for an Americana theme, the two fifes and drum were dressed in appropriate attire representing Colonial America. 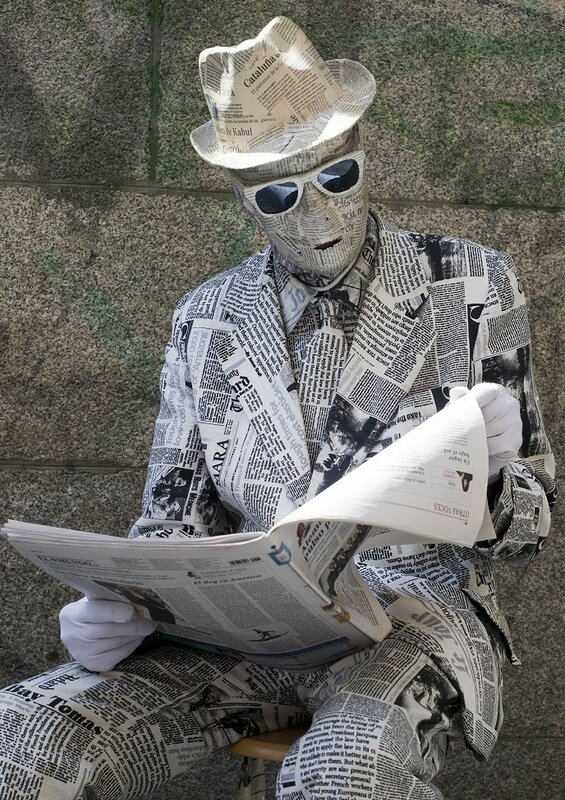 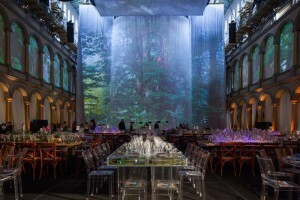 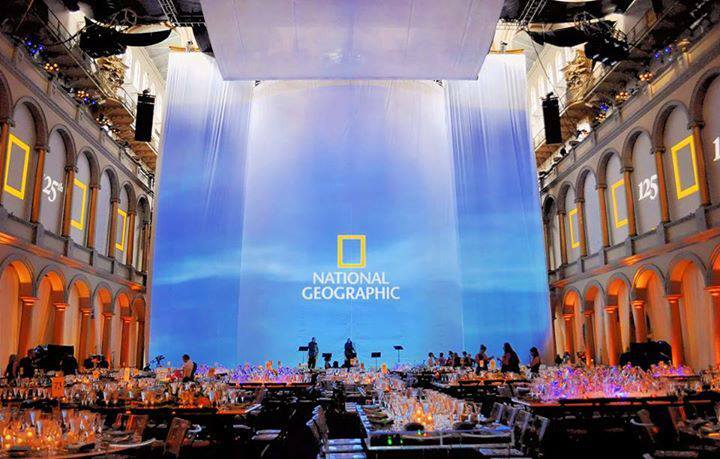 Whether for a reception, leading guests from location to location, or as featured entertainment for the evening, this adds a spirited atmosphere for a special event. 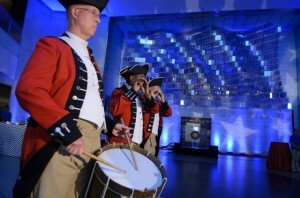 Specialty groups, such as a Fife and Drum Ensemble, Mariachi Band, Dixieland Band, Flamingo Trio, or Folk Ensemble, make a special event truly unique, adding flair to the theme for the event. 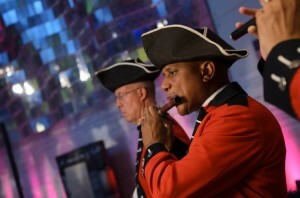 Olivera Music Entertainment offers all types of specialty ensembles, along with a complete selection of soloists, small ensembles, dance bands, and national acts with full production. 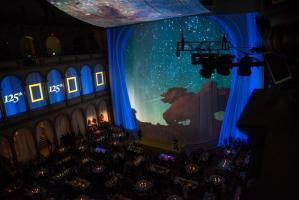 Give us a call to discuss your ideas for your next event.